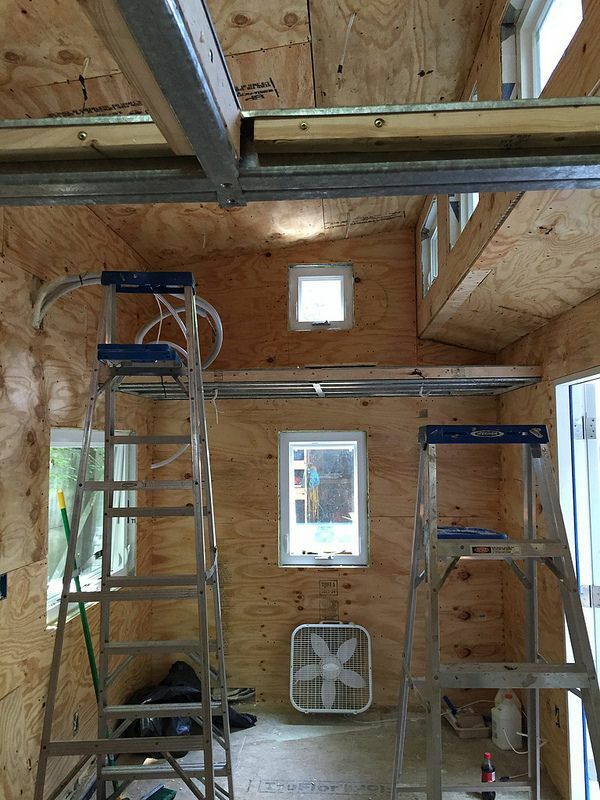 One of the greatest treats offered by the tiny house community is the point that around the next corner is another surprise. 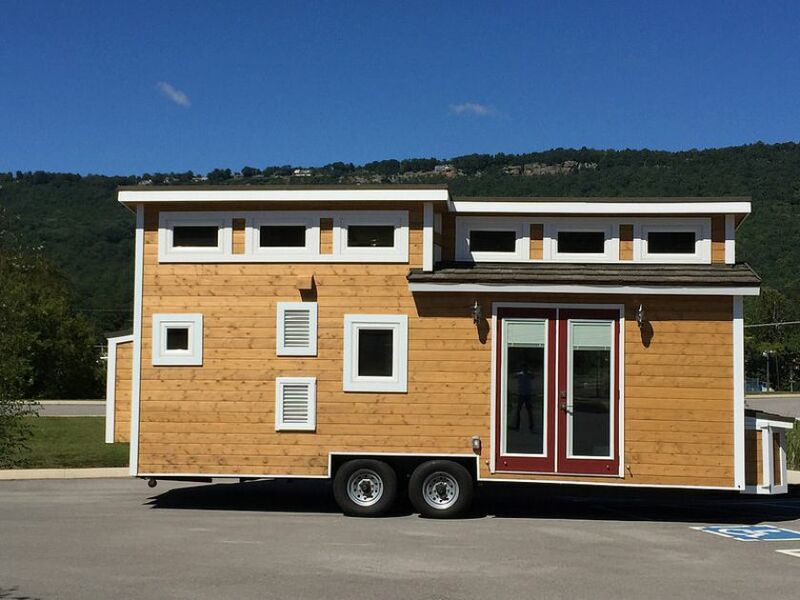 That is certain to be the case when you tour the Tiny House Chattanooga creation lovingly named Nooga Blue Sky. 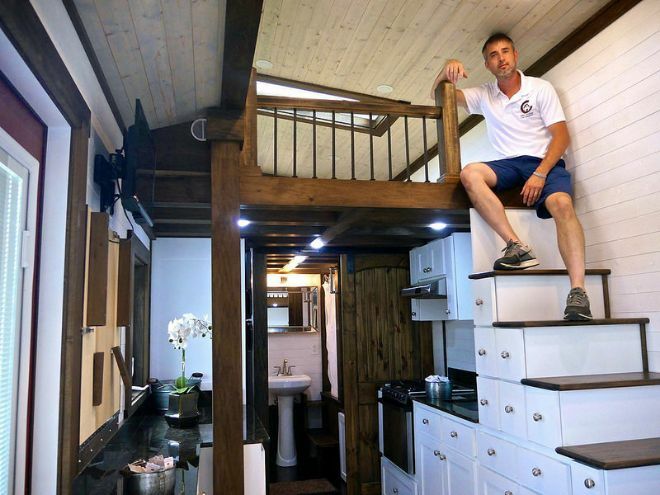 The Chattanooga, Tenn., company, which began as a home remodeling business, claims the Nooga Blue Sky – among its many bragging points – is the first steel framed tiny house built in the United States. 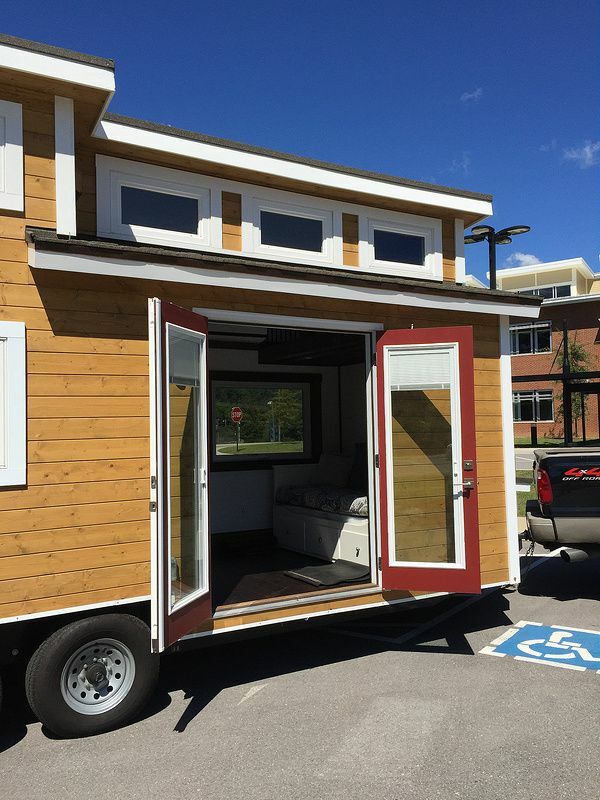 But its genius is in the creative layout that makes all things possible in this house on wheels. The company says its aim is to build “mini-masterpieces” with every building project and they aren't mistaken with the Nooga Blue Sky. This house has amazingly clean lines and incredible luxuries for a tiny space, such as a fully functional bathroom, a modern kitchen, dazzling skylights and double glass doors. The kitchen is to-die-for and the storage cupboard that doubles as a staircase is a terrific blend of ingenuity and practicality. This is one house that isn't afraid to show its charms, which starts with the splendid array of windows, including this uncompromising set of doors. 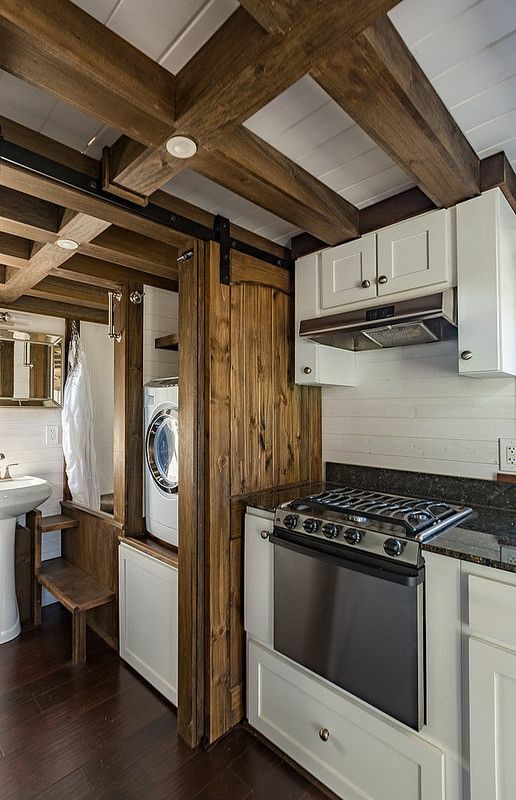 This is no demure tiny house. This one seems to say "Welcome, one and all." Get a look at this incredible layout. The staircase, which leads to the bedroom loft, doubles as a storage container. 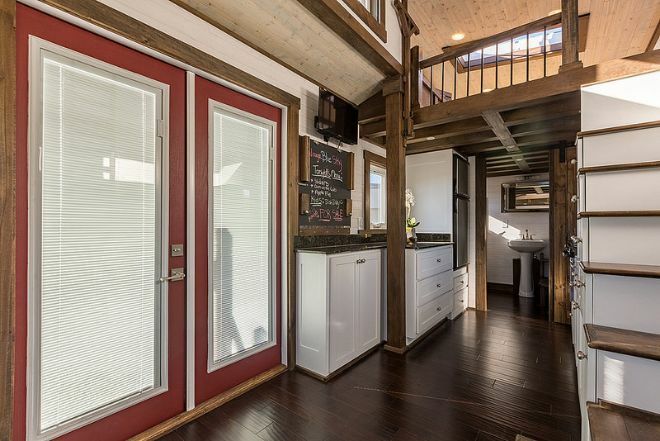 But down below, you see the tucked away kitchen and the even more tucked away bathroom -- a bold design for a tiny house. The kitchen counters on the left extend far past the kitchen area, creating extra work space for many purposes. Here's a longer view of the layout. You can clearly see the refrigerator and freezer. You can also see the great skylight above the loft bedroom. 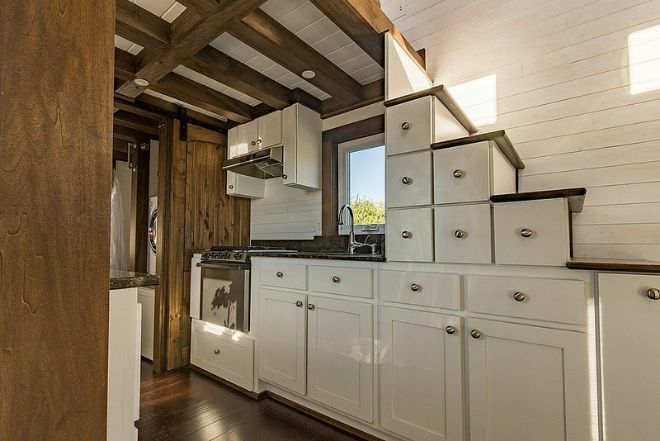 The beams that support the loft make the kitchen area all the more attractive. 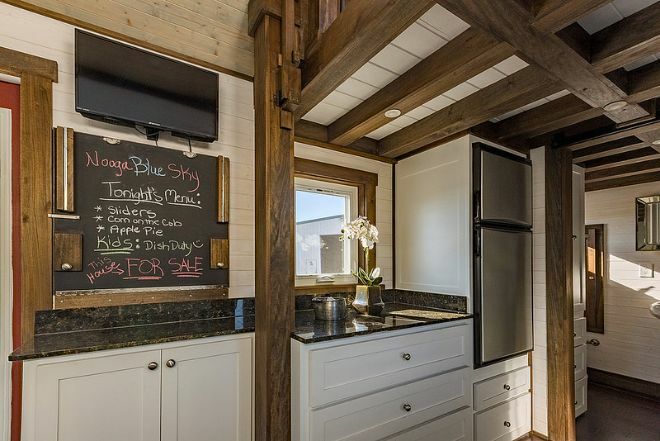 Yes, as the blackboard says, "This House, For Sale." 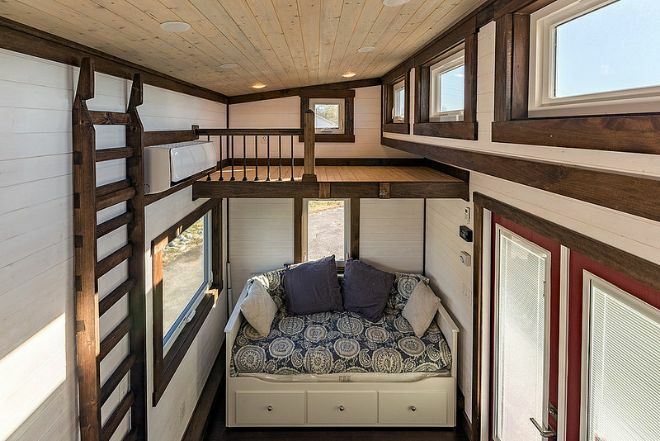 There are two lofts in this tiny house, but neither of them make the house feel cramped, thanks, in part, to that line up of windows on the right. And here's a hint at how this all works: The ladder is notched at the top, which means it can be taken off the wall and set securely into place when you need it. There are so many clever staircases in tiny houses, it makes you wonder ... why don't large houses also have double-duty staircases? 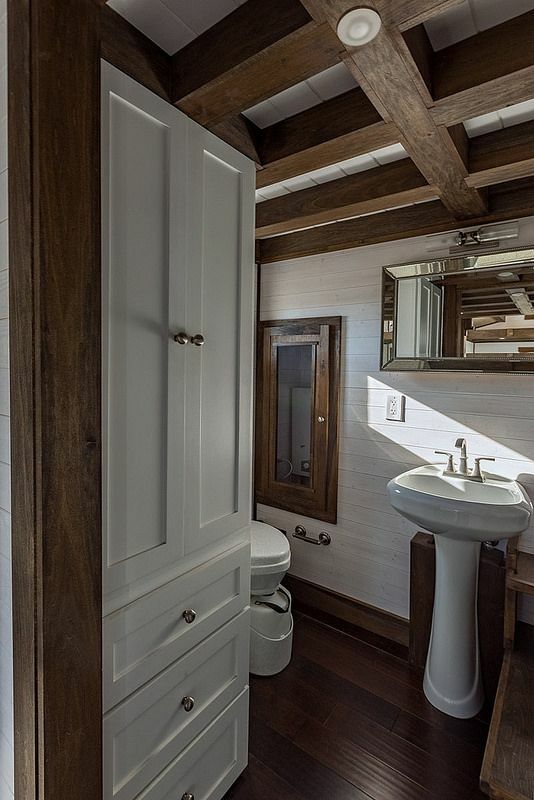 The next photo provides a peek at the bathroom and another great look at the ceiling beams. In addition, is that a combination washer dryer? It is. Furthermore, count the knobs on the stove. That's not a toy camper stove. That's the real deal. If this bathroom doesn't floor you ... speaking of which, check out the floor. It's a beauty. In the interests of transparency, here's a look at the steel beam construction. This thing is probably not going to warp on a trip down the road. It's built to last. We hope you are as impressed with the Nooga Blue Sky's unique lay out as we were!